The two-time defending NL champion Los Angeles Dodgers will have ace starter Clayton Kershaw back in the mix next season. In no way does this mean the team isn’t looking to add another top-end rotation arm. According to this report from Jon Morosi of MLB.com, Los Angeles is talking to the Cleveland Indians about multiple pitchers. That includes two-time AL Cy Young winner Corey Kluber. 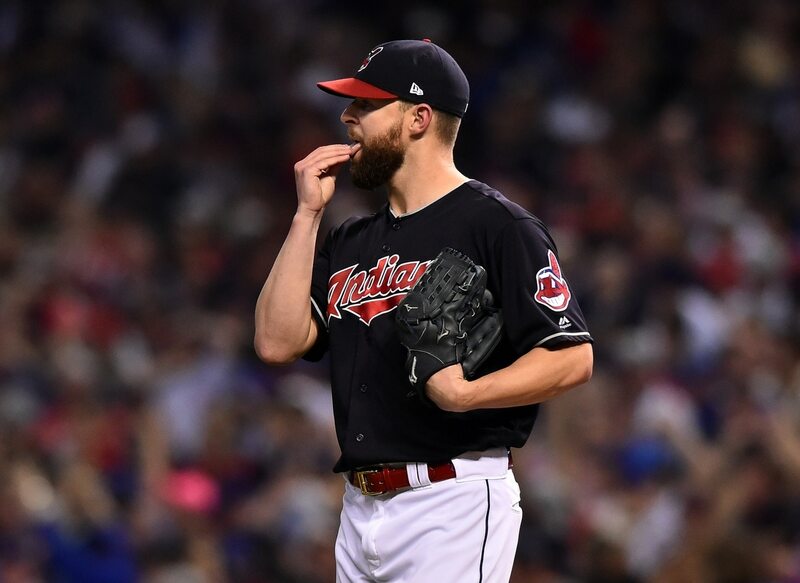 Under team control with a mere $15.2 million salary for next season, it’s somewhat shocking that the Indians have added Kluber to the trade block. After all, this team is coming off three consecutive AL Central titles and remains the class of the division. Kluber, 32, has been among the best pitchers in the game over the past several seasons. He posted a 20-7 record with a 2.89 ERA and 0.99 WHIP in 2018. That came after pitching to an 18-4 record with a 2.25/0.87 split en route to earning his second Cy Young in 2017. Any trade for Kluber would have to include the Dodgers yielding multiple top prospects. It’s a price the team should be willing to pay in order to team Kluber up with Kershaw and the talented young Walker Buehler.